The most awaited, astrologically most natural benefic planet, Jupiter has transited from Cancer to Leo. It transited on 14th July 2015 at 12.53 AM, GMT. 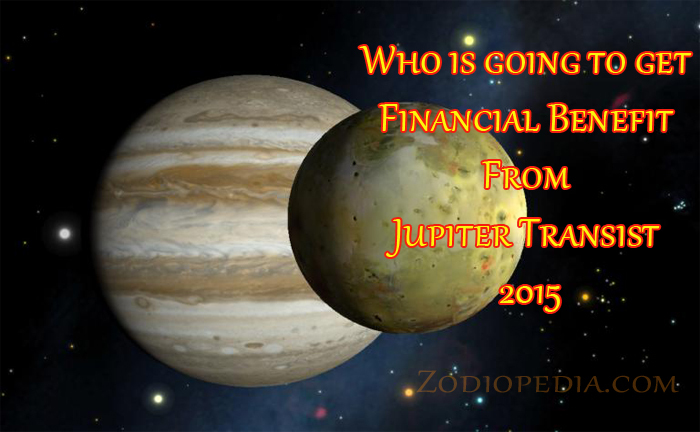 Jupiter transit brings changes in human life based on their moon sign(To know your moon sign click here). Jupiter transit would shower very good results when Jupiter is transiting to 2nd, 5th, 7th, 9th and 11th house from their moon sign. It gives negative results when transits to 3rd, 6th, 8th and 12th houses. Other places it gives normal results. So, this transit to Leo would give very good financial benefits for Aries, Cancer, Libra, Sagittarius and Aquarius signs. Gemini, Virgo, Capricorn and Pisces would have reduced favorable results. Taurus, Leo and Scorpio would get normal no gain- no loss results.